Burt Reynolds, who passed away this week at the age of 82, will of course be sadly missed for the movie icon that he was, especially in the 1970s. His charm and wit were also on full display as a frequent talk show guest, making a career out of self-effacingly making fun of his career. In researching Lee Marvin Point Blank, I was pleasantly surprised to discover that Burt Reynolds knew and liked Lee Marvin. He tells a great anecdote in his 1994 autobiography concerning one of his very first professional acting jobs. In a 1959 episode of M Squad he played a young, troubled student battling some bullies at a trade school. 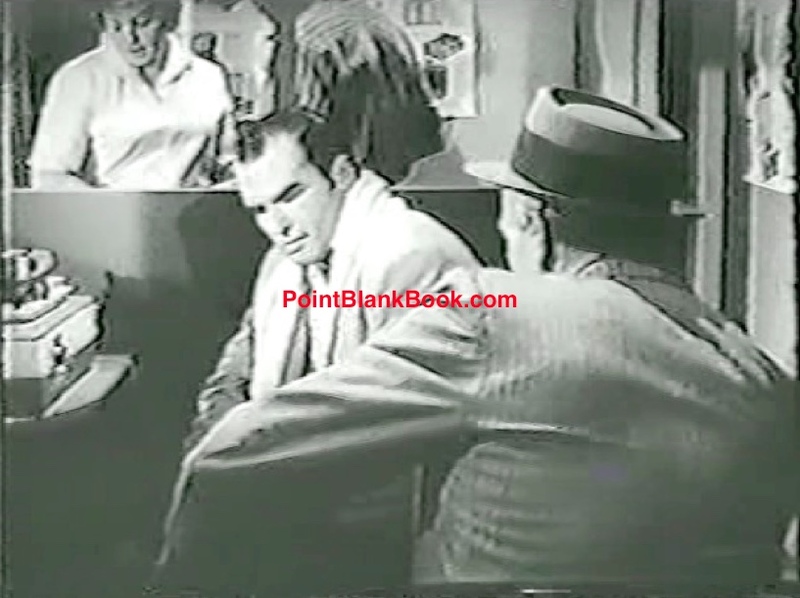 Lee Marvin (back to camera) as Lt. Frank Ballinger tried to get troubled trade school student Burt Reynolds to testify against school bully, Tom Laughlin. His nemesis in the episode was none other than Tom “Billy Jack” Laughlin, playing his role like an ersatz James Dean. The casting made sense as Reynolds was often compared facially to a young Marlon Brando, so the two most famous juvenile delinquents of the 1950s appeared to square off against each other. 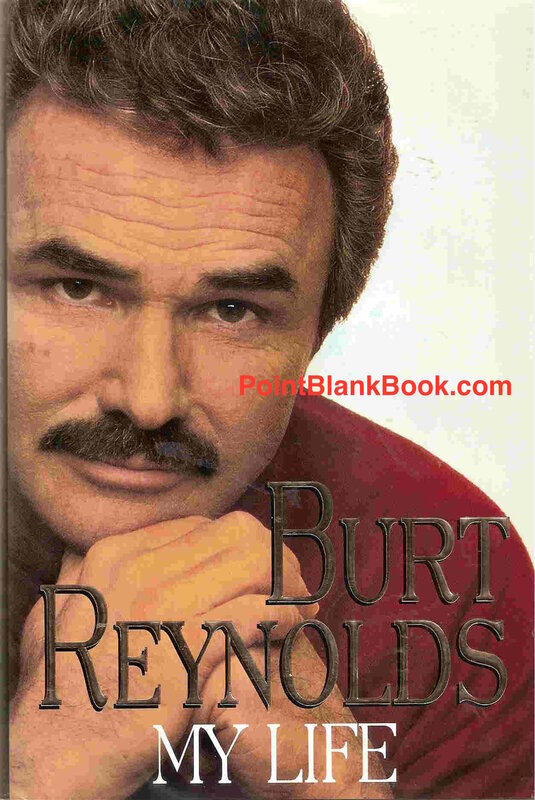 The cover of Burt Reynolds’ 1994 autobiography. Reynolds wrote that he was late to the set the first day as he misunderstood the call sheet time he was supposed to show up. Despite his remorse, the assistant director chewed out the young actor in front of the cast and crew. Lee Marvin puts the heat on the ‘late’ Burt Reynolds in M SQUAD. A hung-over Lee Marvin came out of his trailer angrily asking what all the noise was about. When the A.D. told Marvin that Reynolds was late, Marvin angrily shouted, “So was I! What’s the big deal? Now shut up and let’s get to work!” Reynolds praised Marvin no end for helping to salvage his fledgling career. A decade later Burt Reynolds wrote a second memoir, focusing mostly on the fascinating people he met and knew throughout his career aptly entitled But Enough About Me. He and co-author Jon Winokur dedicate an entire chapter to Marvin, apparently cribbing much information from another source that blog readers may be aware of…ahem….How do I know? Because a large portion of his Marvin biographical material was rather exclusively based on MY research. One need only see the way he incorporates Marvin’s war record and more to see the source. Don’t take my word for it, though. 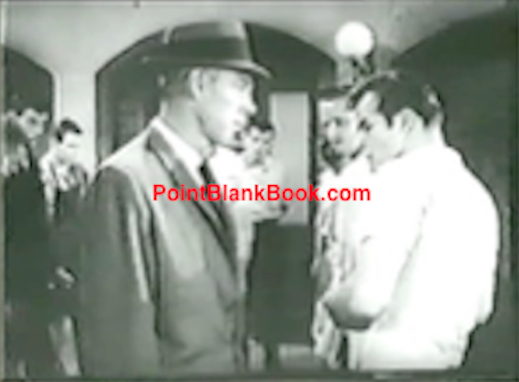 If you’ve read Reynolds’ book, read Lee Marvin Point Blank and then see for yourself. 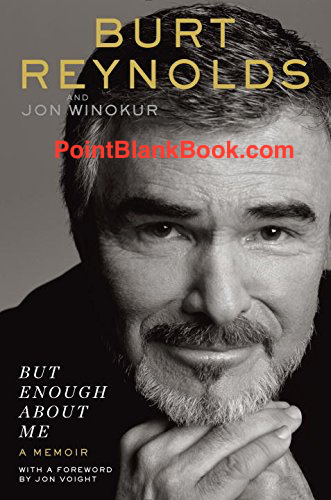 Burt Reynolds’ 2015 memoir, published 2 years after Lee Marvin Point Blank. ‘I sure hope so,’ I said. Rest in Peace, Mr. Reynolds. Like all greats, we shall not see your like again. LIBERTY VALANCE REDUX? HERE WE GO, AGAIN! © 2013 Schaffner Press. All Rights Reserved.